Contact AthleteSpeakers today at 800-916-6008 to book Neil Walker for a keynote speech, corporate appearance, grand opening, autograph signing, product announcement, moderated Q&A or for an exclusive meet and greet. The booking agents at AthleteSpeakers work on your behalf to get you the best price for your desired sports celebrity. AthleteSpeakers has built very close direct relationships over the years with top athletes, agents, publicists and managers. 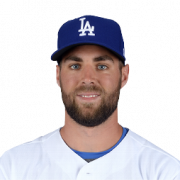 We specialize in assisting small, medium, and large companies as well as event planners with booking athletes like Neil Walker for speaking engagements and appearances at trade shows, golf outings, casinos, conferences, conventions, and corporate events. For years, companies have turned to AthleteSpeakers to get Neil Walker's booking fee, appearance cost, and booking agent contact information. 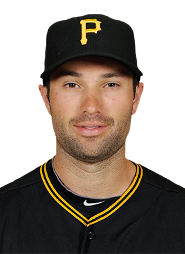 Neil Walker is a professional baseball second and third baseman with the Pittsburgh Pirates of Major League Baseball. The Pittsburgh Pirates’ scout Jon Mercurio signed Walker and after spending three seasons in the minor league, Walker started 2007 rated No. 74 on Baseball America’s list of Top 100 prospects. Walker received his first Major-League call up on September 1, 2009 where he served as a pinch-hitter for Charlie Morton. His first career hit came on September 6, 2009 against the St. Louis Cardinals. On his first Major League start, Walker played third base against the Cincinnati Reds. 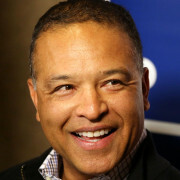 Walker was named the second baseman on Baseball America’s 2010 All-Rookie Team. 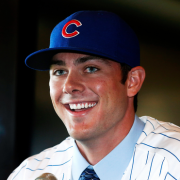 That same year, he was also named the second baseman on the 2010 Topps Major League Rookie All-Star Team. 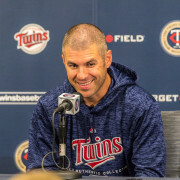 In 2012, Walker dealt with various back issues in August and September before being shut down for the season on September 29 with a herniated disc in his back. 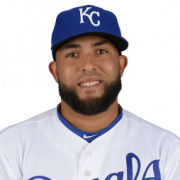 In 2014, he was placed on the disabled list after undergoing an emergency appendectomy. Disclaimer: AthleteSpeakers assists companies seeking to hire talent like Neil Walker for speaking engagements, appearances, product endorsements, and business sanctions. Our speakers bureau does not claim to exclusively represent Neil Walker. Our booking agency can help with finding an athlete or sports celebrity that aligns with your upcoming events date, location, and budget. When an organization request booking details for a celebrity like Neil Walker, we work closely with the client to make sure the proposed dates does not interfere with the requested athletes schedule. We then confirm the sports celebrity fee based on the details of the request. The fees listed on the speaker profile are rough estimates based on the previous market rate for the talent. Our team then works with Neil Walker's agent, manager or assistant on the booking request. For parties interested in hiring Neil Walker, we recommend filling out the booking request form so our booking agents can help with making your next event a success.